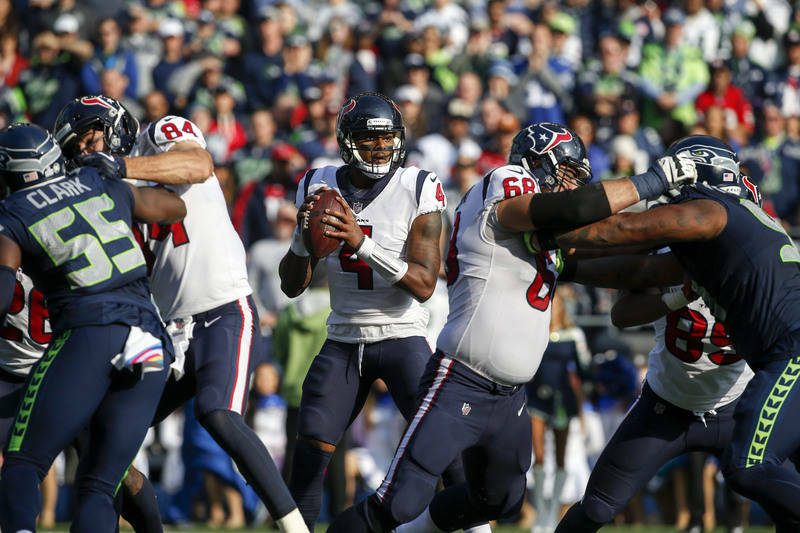 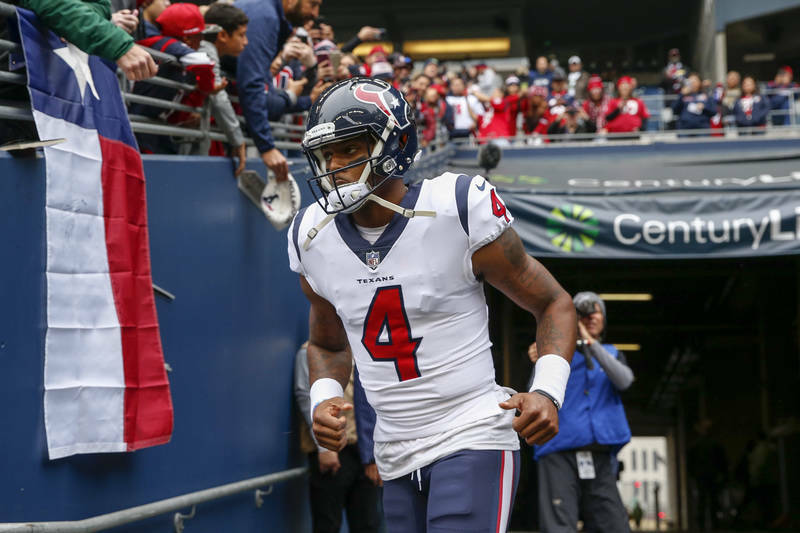 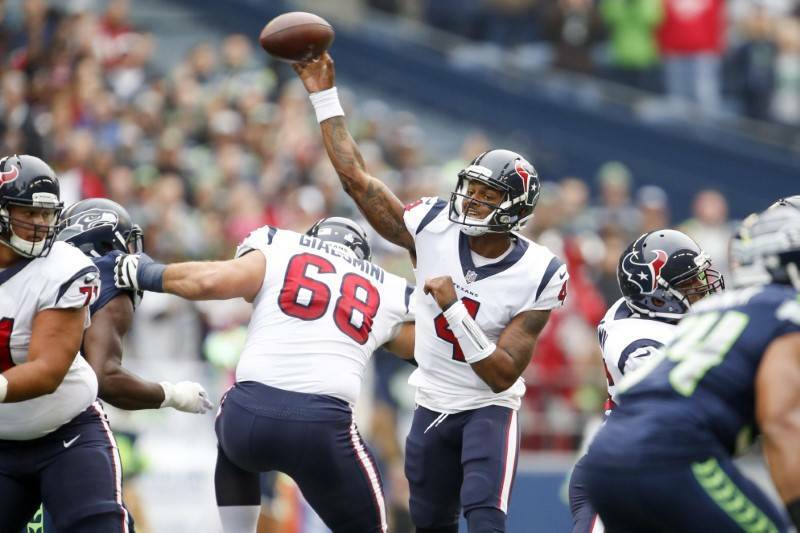 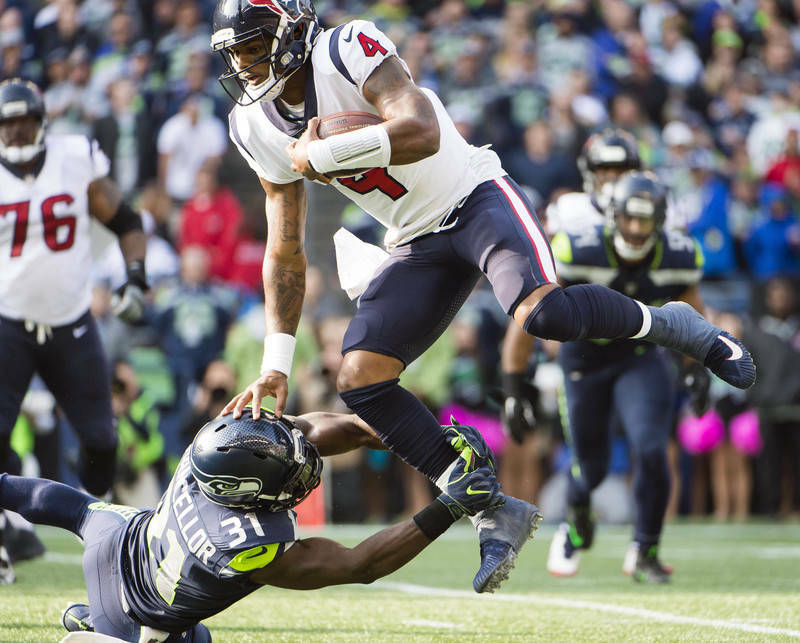 The Texans dropped from 13- to 7-point favorites over the Colts after the news that rookie quarterback Deshaun Watson tore his ACL in practice Thursday and will miss the rest of the season. 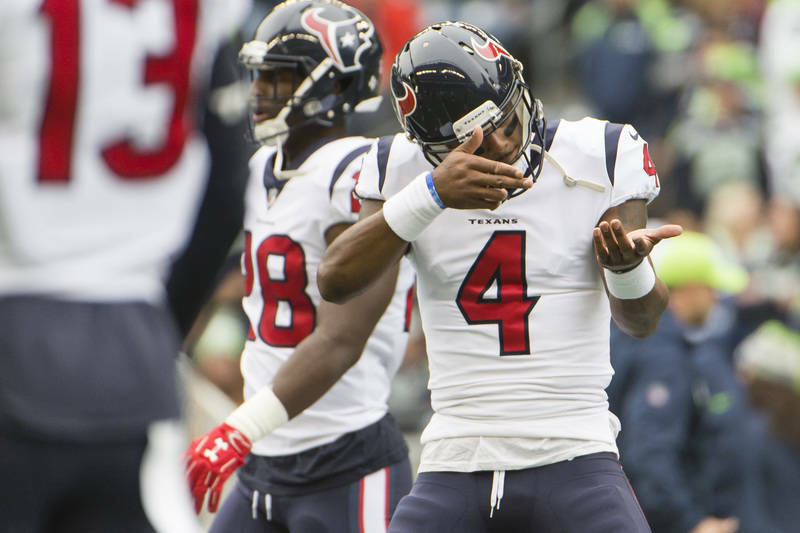 Since taking over as Houston’s starter in Week 2, Watson led the NFL in scoring (34.7 points per game) and touchdown passes (18). 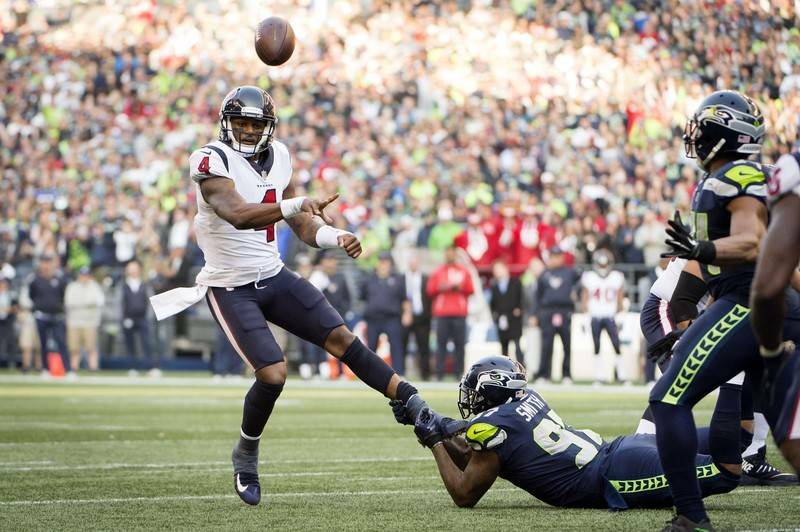 He threw for 402 yards and four TDs in Sunday’s 41-38 loss at Seattle. 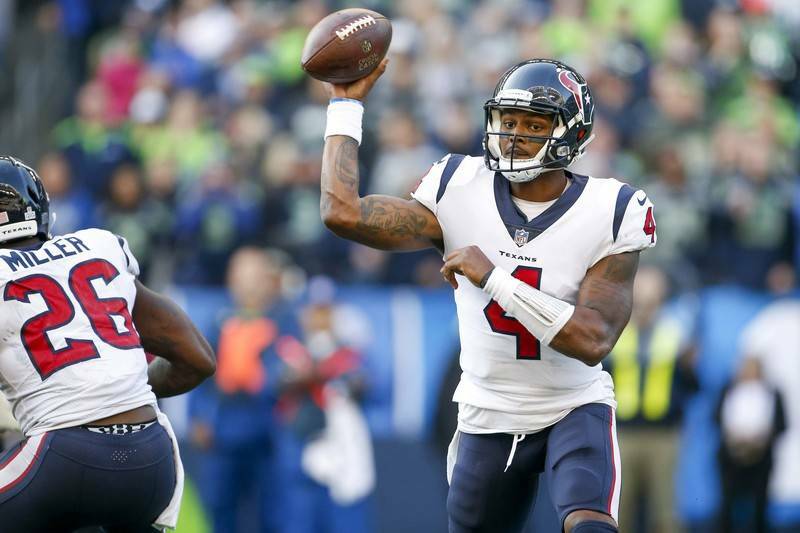 Backup quarterback Tom Savage is set to start Sunday against Indianapolis. 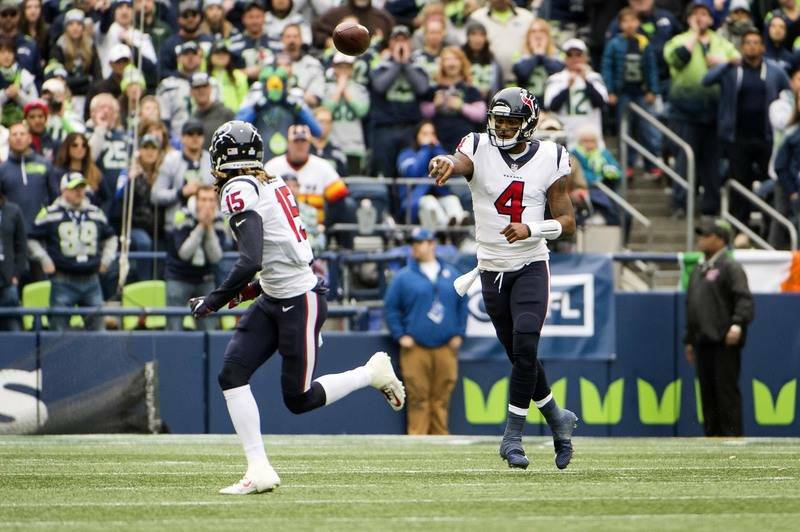 The total also was affected by Watson’s injury, dropping from 50 to 46. 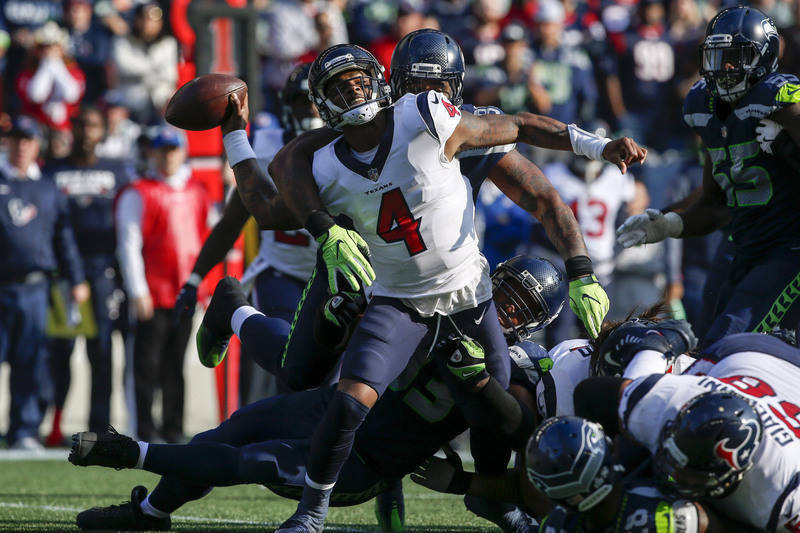 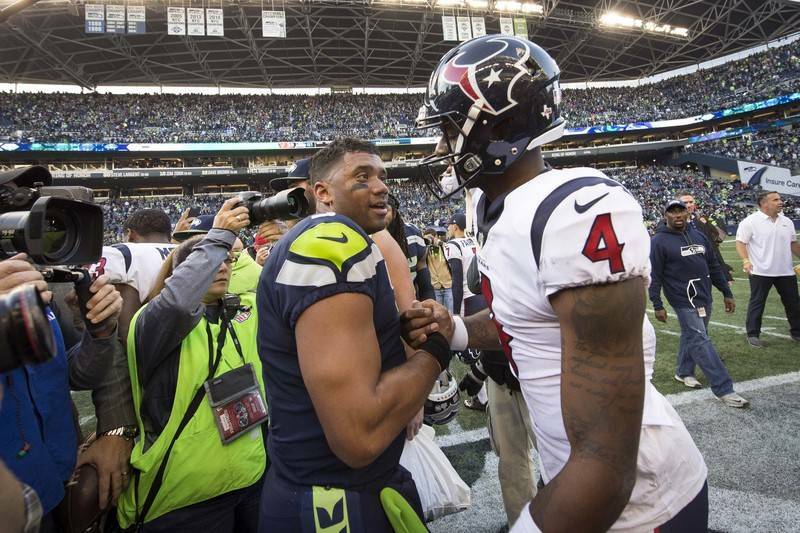 The Texans’ odds to win the Super Bowl also took a big hit, skyrocketing from 42-1 before the injury to 100-1.